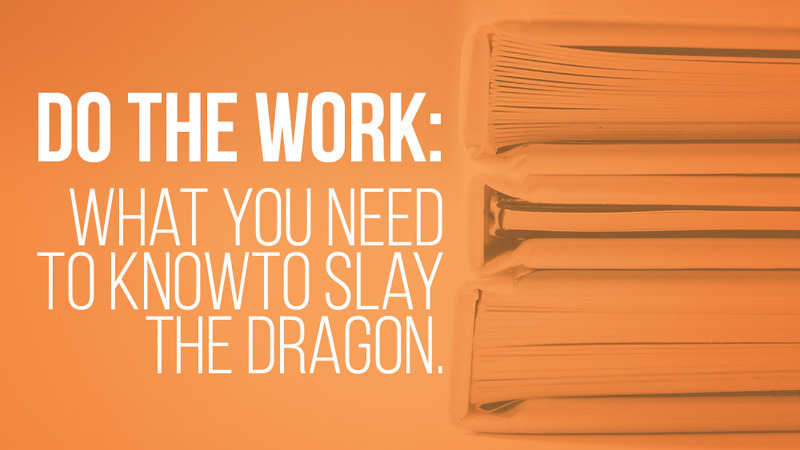 Do the Work: What You Need to Know to Slay the Dragon. The other day I decided to re-read a book I picked up a few years ago. It’s called “Do the Work”, written by Steven Pressfield with a forward by Seth Godin. It’s a short book designed to coach the reader through an important undertaking by helping them break through resistance. Of all the endeavors that might challenge us and generate resistance, starting and growing a business has to be one of the most exacting. 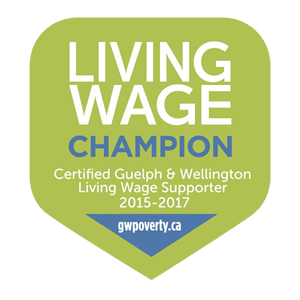 So here is a small taste of “Do the Work”. 1. There is an enemy. 2. The enemy is implacable. 3. The enemy is inside you. 4. The enemy is inside you, but it is not you. 6. Resistance comes second. It is the shadow cast by passion. 7. The opposite of resistance is assistance. No one does it alone. Entrepreneurship is not for the faint of heart. There will be many challenges along the way and at times you will despair. At the end of the day, the dragon will ask only two questions of you—that only you can answer. · How bad do you want it? The right answers multiply your power in the battle against your internal dragon. The wrong answers…well…you’ll never get past the first level. The meaning I took from this book the first time I read it is this; if your goal is important and powered by passion, it will awaken the dragon within. You will face resistance and the enemy is real. But knowing the enemy exists is half the battle. The rest of the battle comes from committing fully to achieving your goal (How bad do you want it?) and by embracing a “why” that energizes you and fills you with purpose (Why do you want it?). The reason I decided to read the book again was the message Pressfield wrote in the back cover of the dust jacket which I noticed as I moved some books around on my shelf. Another two simple sentences that reminded me where the dragon lives—reminded me it was time to sharpen my sword. Anne Toner Fung2017-08-09T21:12:14+00:00July 26th, 2017|Entrepreneur Education, Speedway, Uncategorized|Comments Off on Do the Work: What You Need to Know to Slay the Dragon.